Take a few minutes of silence on the final day of Navratri to give thanks and appreciation for all the blessings we are bestowed that live within us and all around us. Let your desired achievements be known, and give thanks for the super powers that you possess. The final devotion to Siddhidatri completes the Navratri festival! Jai Mata Di! In addition to Saraswati, we also celebrate the fierce aspect Durga today – Kaalaratri. Although Kaalaratri depicts the dark side of existence, she is also the power that creates chaos in order to destroy negativity. She removes ignorance and arrogance and brings light into the darkness. She is a source of courage who demolishes evil, eliminates terrors and suffering, and is always there to protect us. She teaches us that destruction is a necessary force that cannot be ignored, and reminds us that the other side of the destruction coin is creation. This knowledge and her grace can help us remain unattached to the material world, and realize the fullness and potential of our being. 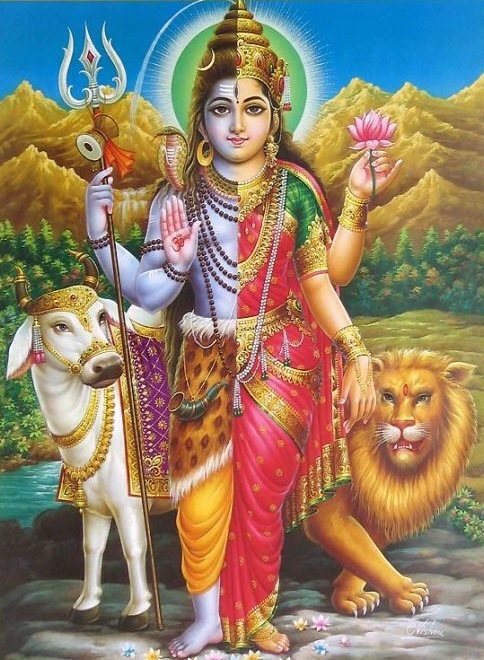 Take a few minutes today to give thanks to Kaalaratri for her constant protection, and for showing us that destruction is just part of the process of transformation and creation. Ask for her protection and wisdom if you are suffering, fearful, or wondering why it seems that things are falling apart. Remember that with her grace, and the grace that already exists within you, clarity and strength and transformation are yours. In yoga and tantra traditions she belongs to the sixth chakra (ajna chakra or third-eye), and can be invoked by concentrating on this point. She is a symbol of strength, knowledge, victory of good over evil and courage. She inspires devotees to face challenges and perceive the inherent strength within. She is also a goddess of love and can help anyone that desires love and marriage. Although everyday of Navratri is dedicated to a different aspect of Durga, today is the last day of the three dedicated to Lakshmi. As the first three days were dedicated to Durga and her energy of action, the past three days have been dedicated to Lakshmi and her energy of love. To celebrate this last day of Lakshmi and Katyayani, take a few minutes of silence and focus on your third eye to see the inherent strength and love inside of you. Focus on how this love can expand within you and spread to those around you.